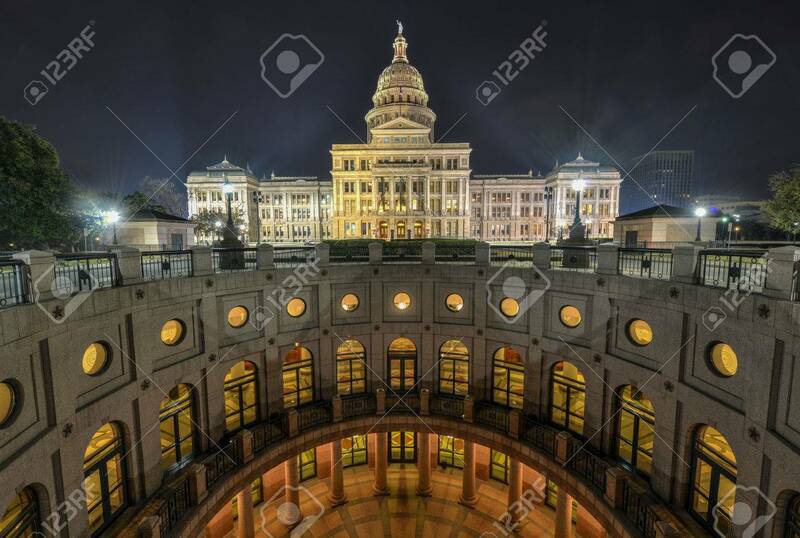 The Texas State Capitol Building With A View Of The Modern Extension.. Stock Photo, Picture And Royalty Free Image. Image 27042208. Stock Photo - The Texas State Capitol Building with a view of the modern extension in downtown Austin at Night. The building was built in 1882-1888 of distinctive sunset red granite. The Texas State Capitol Building with a view of the modern extension in downtown Austin at Night. The building was built in 1882-1888 of distinctive sunset red granite.